Alanna Orpen is studying Science Communication Msc at Imperial College. In this post she explores dancing in science and how the two could be integrated; how can dance help encourage those who are normally put off by science to enjoy it in a new way. She has also explored this subject on Refractive Index. Science is one of the key learning areas within the educational curriculum, valued of great importance in every child’s life to aid them in their quest of exploration and to develop their understanding of the world around them. Stereotypically, science is a subject that children consider ‘boring’, but by adopting a suitable method, teachers should be able to encourage an atmosphere of enthusiasm and curiosity to stimulate a pupil’s interest. Children learn in many ways, yet traditional schooling relies on a limited range of learning and teaching methods. The classroom and book-based learning caters for linguistic and visual learners, while kinaesthetic learners, who prefer learning using their body and hands in physical activity, struggle to understand class material. It is important to cater for all learning styles and abilities, thus innovative educators in America concerned with improving student achievement are seeking ways to create rigorous, relevant and engaging curriculum. Dance and science may appear to be of two different worlds. The former considered merely as a form of exercise and entertainment, inhabited by artists and athletes, while the latter viewed as an academic discipline and a systemic enterprise, inhabited by researchers seeking to build and organise knowledge. 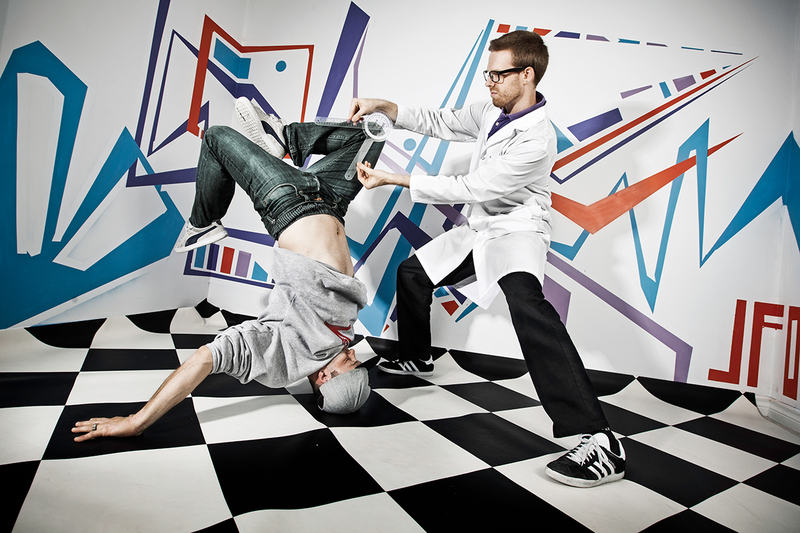 However, a new movement has arisen, where dance and science unite raising students’ interest and helping them to achieve greater levels of competency in understanding scientific concepts. Teachers are leaping out of the classical routine to perform chemical ballets and explore the solar system through interpretive dance. They are realizing that dance is a powerful non verbal form of communication, which can be an important educational tool that not only motivates and encourages students, but is proving to be an excellent vehicle that promotes deeper understanding through experiential learning. Dr Zafra Lerman, a former science professor at Columbia College in Chicago, has examined how a dance partnership with chemistry can enhance student comprehension. The chemical bond has become one of the most attractive subjects for dance projects, which helps students learn the chemical concepts as well as retaining the information longer than by traditional teaching methods. Similarly, a former science teacher, Jane Burke, helped children at Mount Everett School in Massachusetts dance their way to understanding. For two weeks, she shared her classroom with a professional dancer to explore the abstract ideas behind chemical reactions through movement. The students jumped, twirled and embraced one another to explore ionic, covalent and metallic bonding and the types of chemical reactions. By depicting the subject through dance, the students reached a depth of exploration that would not have occurred in the regular classroom setting. Many found it helpful to think about the concepts in a different way, as dancing out the reactions provided a means to picture the invisible. The connection between the choreography and the science enabled the students to visualize the concepts that they originally found challenging. Therefore, this shows that dance can aid in the deeper conceptualization of knowledge by providing ‘a way of doing’. The integration of dance into core academic science classes is a creative and innovative approach that is gaining a foothold in public schools around America. Fostering imaginative and abstract thinking through movement helps students of all ages grasp a broad spectrum of scientific concepts, where primary school children enjoy dancing through the stages of photosynthesis and the water cycle, while more advanced students dance out chemical reactions. These teachers who are pushing beyond the boundaries of traditional disciplines are witnessing the positive results of this interdisciplinary approach. The success of dancing in science class projects in America highlights the potential of integrated curriculum to act as a bridge to increase student engagement and achievement. Could the Americans be setting a trend that other nations will shortly be adopting? Will dance manage to waltz its way into British school laboratories?